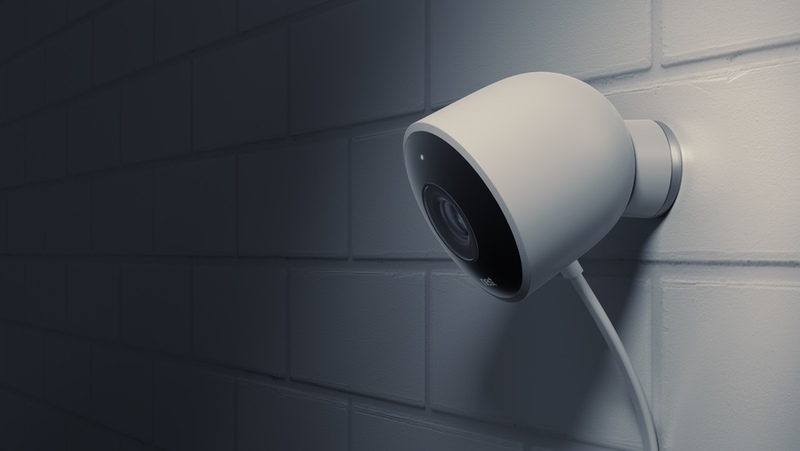 The Nest Cam Outdoor is the latest addition to Alphabet's ever expanding smart home waistline, bringing exterior security camera action to the connected house. Looking a lot like a beefed up, whitened, version of the popular indoor Nest Cam, the Outdoor Cam offers a 130-degree field of view and is, of course, weatherproof as it's designed for outdoor mounting. In fact, it's not just the camera that's weatherproof. The main part boasts an IP65 rating but the cables and adapters carry an IP67 rating so they can survive being immersed in water for half an hour. Speaking of the cables and there are two. One is a 3.5m USB one that features a neat push-and-clip fitting to keep it weatherproof and a 4m power cable that goes into an adapter. The idea is that, with the two cables, and the combined 7.5m length, it offers a wealth of installation options for users with different power setups. If you haven't got external power, you don't need to worry about drilling through your exterior wall. You can if you want, but Nest is also employing a team of Pros to carry out installations. If you do decide to go it alone, you don't need to worry about the camera's exact direction when screwing it in. The fitting is a super-strength magnet (we nearly lost a finger testing it) with a 360-degree tilt on offer. Back to the camera and it offers Full HD 1080p recording, night vision and talk and listen functions, like its indoor brethren. Of course, it syncs up with the existing Nest app - an app that is undergoing a pretty major refresh. Notable updates include Person Alerts, that distinguish between regular motion and a person coming into view; auto quality streaming, so you don't need to worry about bandwidth hogging; and spaces, which divides your Nest app up into different rooms with bigger thumbnail camera previews. The big news is that the Nest Cam Outdoor costs the same as the indoor version, which is great as it'd no doubt cost a bit more to make and outdoor security cameras are normally ridiculously expensive. It's launching Stateside in September for $199. The UK price is still TBC (£159 is likely) and it will be out before the end of the year.